Backed by research out of Yale and Duke, a newly released guidebook details a range of best practices for boosting the adoption of rooftop solar power. Titled “Solarize Your Community,” the national guidebook makes the case for “contagious” rooftop solar. 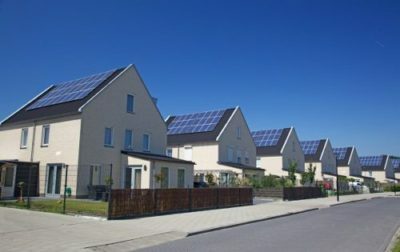 The findings are distilled from a three-year study of successful campaigns in Connecticut that tripled the number of rooftop installations, reduced the average cost of residential solar by 20% to 30%, and created local jobs in participating communities. Continue reading. Download Solarize Your Community: An Evidence-Based Guide for Accelerating the Adoption of Residential Solar. This entry was posted in Installation, NewsBlog, Research and tagged Nebraskans for Solar, solarize campaigns, Solarize Your Community Guidebook, Yale News on April 18, 2017 by Helen Deffenbacher.